Style and sophistication close at hand! 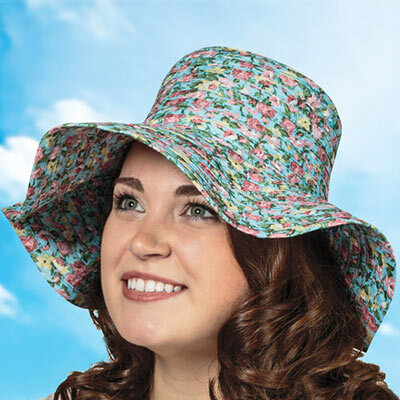 This unique, foldable floral sun hat is accented by sky blue polyester fabric with a garden of pink roses. Interior grosgrain ribbon headband for comfort. One size fits most. Imported. 16" dia. Hurry! Quantities are limited!